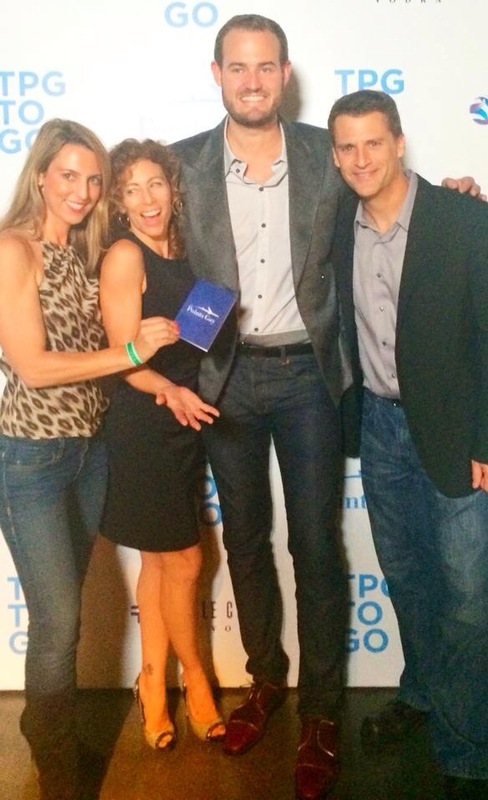 Brian Kelly, aka “The Points Guy,” just launched his new travel app, “TPG to Go,” in sensational style, complete with an adorable crew of flight attendants and the sounds of DJ Viceroy, atop Hollywood’s W hotel Loft event space. Hopping from courtesy booth to courtesy booth with “TPG to Go” Passports in hand, guests took the chance at winning prize giveaways including a million frequent flyer mile package, presented by Barclaycard Arrival+ and hotel statuses from Starwood Preferred Guest. It was an incredible evening. And after chatting it up with Brian and watching him address his amassed crowd of party goers, it became very clear that his new financial and travel based adventure is a source of total excitement for him. He seemed even humbled by the generous support that he has received and the growth that he is enjoying. After leaving Wall Street, compelled by a serious claw-digging itch for travel that began tickling him as a child, and creating a travel blog that now accrues an average of over a million unique viewers per month, Brian was primed to branch out into new territory. His venture now sets his travel app clients up for free travel around the world and back again, by offering simple spending suggestions with a swipe or click of a button as to what credit card will amass the most travel points for everyday purchases like an espresso macchiato at a favorite cafe or dining at a local restaurant. His “TBG to Go” app gives you the right information you need to make smart moves on the fly in order to get the most travel award points possible each and every day. This is an app that will streamline your use of credit cards to enable you to accrue miles in a smart, effective manner. It seems like a no-brainer to me, especially with the holiday season creeping upon us. 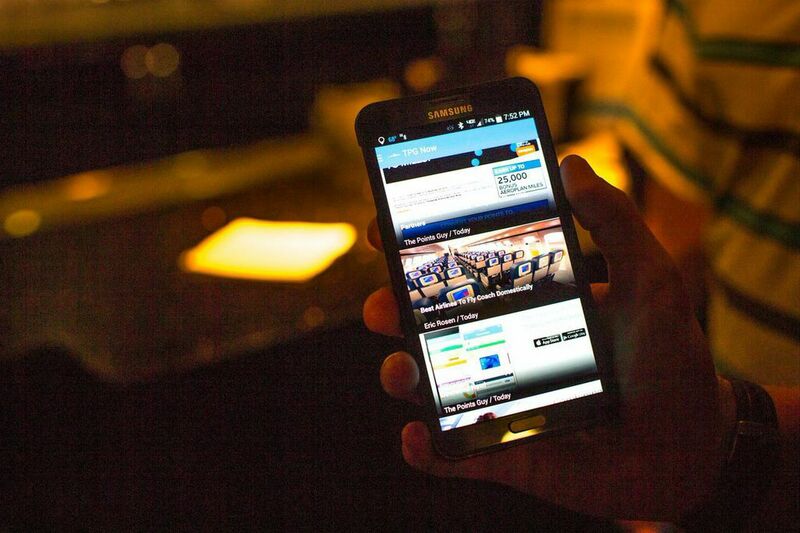 The “TPG to Go” app can help you debunk the jacked up prices that the holiday season otherwise dishes out. You can pick it up for free at the Apple Store, which you can locate quite easily on mobile.thepointsguy.com. Do it! And, check out Brian’s travel blog while you’re at it. His team keeps readers up to date on important points and travel news, even featuring travel advice from The Wall Street Journal, The New York Times, CNN and The Today Show. You’ll be frequenting a high-quality source that has been substantiated by the Big Whigs in the press. Brian has been featured in over 100 publications and news outlets including The New York Times, Condé Nast Traveler, The Los Angeles Times, The Independent, CNN, and The Today Show, to name a few. He has presented at various travel conferences including The LA Times and The New York Times Travel Shows, and the annual Chicago Frequent Flyer Seminars. Between The Points Guy blog and “TPG to Go,” you’ll be utterly primed to fly high and happy wherever you dream of going in no time.